William P. Blair is an Astrophysicist and Research Professor in the Department of Physics and Astronomy at The Johns Hopkins University . Dr. Blair's main scientific interests lie in the areas of gaseous nebulae and the interstellar medium. In particular, he studies supernova remnants and shock waves in a wide variety of astrophysical situations, using techniques as diverse as ground-based optical imaging and spectroscopy, space-based optical and ultraviolet spectroscopy, and infrared and X-ray observations. Dr. Blair has over 260 publications, primarily technical refereed research papers and conference proceedings contributions. From 2000 - 2009, Dr. Blair was the Chief of Observatory Operations for the Far Ultraviolet Spectroscopic Explorer (FUSE) mission, which was a NASA-funded space telescope operated from Johns Hopkins. The FUSE satellite was launched June 24, 1999, and operated until October 18, 2007, when it was shut down due to hardware failures. In 2002 he was appointed as a FUSE Co-Investigator by NASA, and was made Deputy Principal Investigator of the project at JHU. 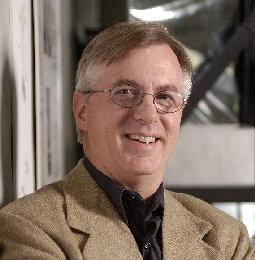 Prior to joining the FUSE project in 1996, Dr. Blair was Deputy Project Scientist for Mission Planning and Operations for the Hopkins Ultraviolet Telescope project. Dr. Blair was also a member of the Instrument Definition Team for the Faint Object Spectrograph, an original instrument on the Hubble Space Telescope. He has been at Johns Hopkins since 1984, and was involved in the mission planning activities for the Astro-1 space shuttle mission in 1990 and the Astro-2 mission in March 1995. Since 2009, Dr. Blair has worked on ground system development activities for the James Webb Space Telescope (JWST) project. JWST is slated for launch later this decade. In addition to his research and technical duties, Dr. Blair has always maintained an active interest in education, public outreach, and communicating science to the public. He was heavily involved in outreach efforts for HUT and FUSE, and he still presents numerous talks each year to school audiences and public groups, running the gamut from astronomy and telescopes to climate change and global warming. Dr. Blair obtained a B.A. in 1975 from Olivet College in Olivet, Michigan, majoring in Physics and Mathematics. He obtained an M.S. (1977) and Ph.D. (1981) in Astronomy from the University of Michigan (Ann Arbor), getting his degree under the supervision of Dr. Robert P. Kirshner (now in the Astronomy Department at Harvard University, and past president of the American Astronomical Society). After three years as an Astrophysicist at the Smithsonian Astrophysical Observatory in Cambridge, Massachusetts, Dr. Blair came to Johns Hopkins in 1984 where he has been ever since. In May 1998, Dr. Blair was honored as a "Distinguished Alumnus" by his Alma Mater, Olivet College. He has presented invited review talks on supernova remnants at international conferences in China, Spain, Italy, and many conferences about the country. Dr. Blair is married, and he and his wife, Jean, have two grown children. Return to Bill's Home Page.